Bondech Co. has been serving the needs of the retreading tire industry since 1983. Bondtech doesn't just sell machinery, we custom manufacture to specification, rebuild existing machinery, and service all brands of equipment, even our competitors. Our experience in various industries allows for a higher knowledge of customer's technical requirements. 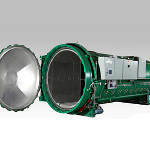 The reliability and dependability which is a must in the aerospace industry is a must in all of Bondtech's autoclaves. Bondtech is a sole supplier of new and refurbished autoclaves and pressure vessels. The single source capability represents direct control starting with coordinated mechanical and metallurgical design through the final test of the complete system. Bondtech uses the most advanced technology to bring the autoclave up to today's standards. When the autoclave is completed, the unit will not only look like new, but it will also perform and last like a new unit. 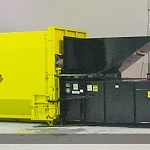 When refurbishing a unit, we will take into consideration our customer's unique requirements as well as budget considerations.